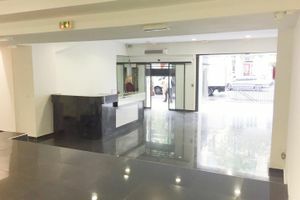 This modern and spacious gallery is located in the creative area Beaubourg. It’s large open nature makes it ideal for Exhibitions, Showrooms and Product Launches. 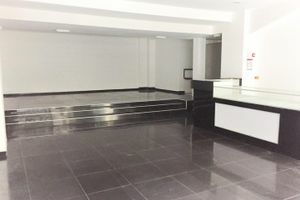 The space has a contemporary and urban feel with black tiled flooring, white walls and pillars that break up the space. The storefront is largely glass with a stylized white entrance. 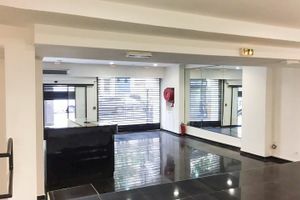 Spotlights are reflected on the high shine floor creating a futuristic atmosphere and the partly raised floor adds versatility to this gallery. 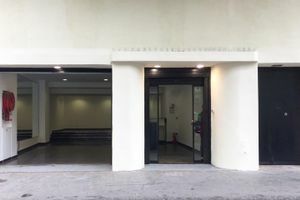 This gallery is advantageously situated close to Rambuteau, Berger and Saint Martin, with these great transport links and proximity to Le Marais this venue is ideal for brands looking to create a unique experience.